However the Prophecy states that one day, a chosen hero will arrive to the castle of the once great Order. He will find the ancient weapon and turn the tides of war. Explore a castle full of secrets and save the world! Castle Secrets: Between Day and Night is rated 1.9 out of 5 by 26. Rated 5 out of 5 by sienta from It is a game that encompasses action and HOG I actually love the game. It is different, and a bit experimental, so I am not going to bash, since I believe in more encouragement and less critique. Anyway, I think the game has a lot of interesting ways to play. Rated 5 out of 5 by pennmom36 from Castle of Betrayal This castle is owned by the ancient Hildegard family who has protected humanity from the forces of evil since time immemorial. Recently the castle has been attacked, Sire Aaron Hildegard's brother, Talbot Hildegard has led this attack along with minions of evil! You must equip yourself with various weapons and tools to fight and destroy these minions, Vampires, Witches, Werewolves and even cold blooded killers and rogue agents! 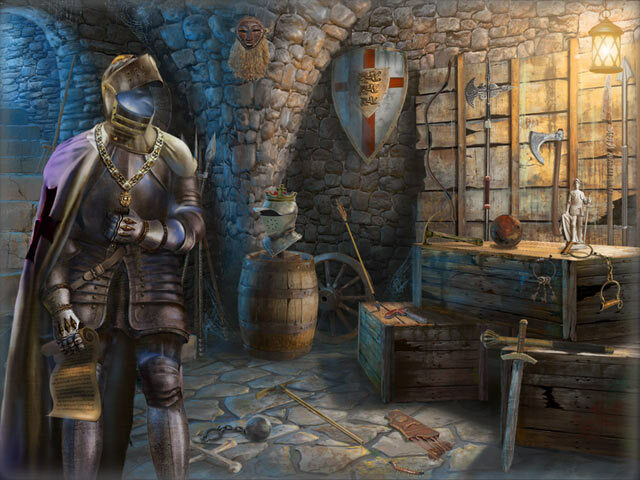 This game is very similar to Dark Manor, so if you don't like Hidden Object games that give you various quests to accomplish by searching the same rooms or locations repetitively, steer clear, otherwise, the graphics are clear and hidden objects are easy to recognize and entertaining to search for. There are so many features in this game that it may seem really complicated at first glance, thankfully there is a really helpful tutorial that will guide you through the main features of the game, step by step. The first thing you will do is accept a quest from various residents of the castle, these are icons on the left of the screen with exclamation points. The quest will open up to show you all the information you need such as, what the quest is, what your reward will be for that quest, how much experience you will gain, and even which room or location. The next step is to enter that area and search for hidden objects shown on the right side of the screen in either a list form or silhouetted shape, and the scene will either be in the daytime or night which is a dark room with just a flashlight to search with. There are various tools you can purchase to help with the HO's such as a Marmot to stop time for 30 seconds or 60 seconds, a Magnifying Glass which will point to one object or 2, Dynamite which explodes 5 items and even a Golden Flash to increase the size of light during the night scenes. When you are done with the HO scene, you click on Get Rewarded to receive your reward. Don't forget to rid the castle of those evil minions! Click on the minions to learn what it takes to kill the minion, usually this means you have to pay for the weapon that will destroy that particular minion, again you just click on the rewards that the minion leaves behind. You will occasionally click on the Collections icon to review what items you need or already have in order to complete several different collections or weapons. As you gain experience you will level up, the higher the level, the more locations you will unlock which will make the game less repetitive, so try to stick it out because the game really gets interesting when there are several locations available, enjoy! Rated 4 out of 5 by DrDavid from Bizarre but absorbing I have trouble describing this game. Hints on how to play are sparse and repetitive and generally not helpful enough, and yet I am fascinated by the possibilities and frustrated by the lack of progress. I have played several hours now and still I have only gotten to level 17 and have only 5 rooms open. I simply cannot fathom how to earn enough money to open more rooms, but I cannot quit playing. I think I have a fascination with trying to figure out how to play the game more than trying to achieve any goals. The rooms are classic, if short and repetitive, HOS where you can earn money and items. Money can buy items and items can kill the attacking forces of evil, which in turn generate more items. Somewhere in here is a method to be promoted faster, but I’ll be darned it I can figure it out. The English is fractured and the names of items can be very odd, but then there are things like an Ann Arbor newspaper to make you wonder what country this originated from. I suggest you try it and see whether you are absorbed by it or not. So far, I recommend it. Rated 4 out of 5 by SirMitch from It sort of grows on you! My initial reaction was similar to that of most of the previous reviews. However, I stuck with it and, the longer I played, the more sense it made and the more interesting it became. The music was indeed dreadful and I wasted no time in silencing it, making it nearly a totally silent game since there was no voice and few sound effects. It was fun to try to find the various quest items and create the collections. 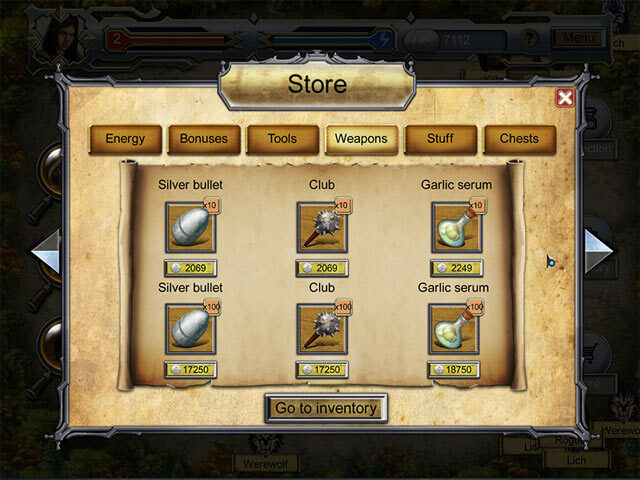 The more monsters that you kill, the quicker you can find collection items and silver, thus allowing more variety in the number of locations you can search. Most of the hidden objects were extremely easy to locate but the challenge was in finding the correct items to complete a collection and move on and level up. I expected to be bored with this game but was pleasantly surprised to find that I ended up enjoying it. While it will never be one of my favorite games, it was not nearly as bad as I expected it to be. Rated 3 out of 5 by pinterman from Doesn't make any sense Whoever thought of this game,must of been dreaming something really good. This game was mastered by a two year old. Not very challenging coming from big fish. Rated 3 out of 5 by Exaddams from Usually a free game... Surprisingly, this game looks like HOG in free game section. There, you can play as long as you want... and it appears to be boring and less challenging. I played 20mn and well... I stopped by myself. Rated 2 out of 5 by LunaNik from I found it repetitive, too quiet, somewhat annoying, and kind of pointless. 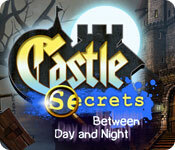 Castle Secrets: Between Day and Night Review based on partial demo (I just couldn't finish.) PREFACE… I wanted to like this game, because it's different, but I found the gameplay repetitive, unnecessarily convoluted, and rather pointless. Additionally, I didn't enjoy playing in utter silence, and the constant "quest request" pop-ups were annoying. I remain uncertain how to even categorize this game. ONCE UPON A TIME... The Hildegard family has fought the forces of evil since the dawn of time, apparently. But now, the patriarch of the family has been kidnapped by his own brother. You have been called upon to save the day. PLAY THE GAME... You're given quests by various people, usually to find things in different rooms of the Hildegard mansion and other buildings on the grounds. Each HO quest consists merely of finding four objects. To this end, there are several tools you can buy, if needed. You also need to unlock certain areas before you can search them, which also requires purchases. Lastly, you must slay the monsters roaming the grounds, again purchasing what you need. 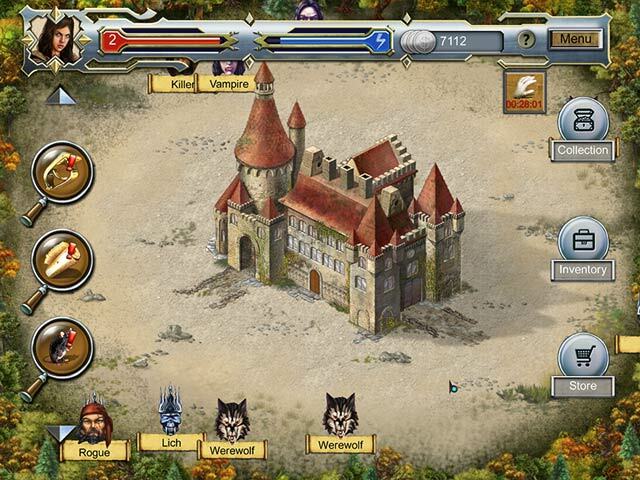 You earn money by completing quests and slaying monsters. And...do it all over again. SIGHTSEEING… The graphics are hand-drawn and detailed, sort of upscale comic book in style. There's not much animation at all and what little there is is just icons on a loop. SOUND WAVES… For me, the game was completely silent, which was kind of creepy. Music and sound effects would have helped a lot regarding immersion. TOOLBOX… The instructions were very confusing, but you can buy things in the shop, and you can collect groups of things (for what purpose, I don't know). Other than that, you just click on the quests that pop up along the righthand side of the screen and follow the directions. THE LAST WORD… I recommend you try the demo for yourself. You may like this strange combination of HO and quest. But it's not for me. Rated 2 out of 5 by karema from confusing there are very few instructions which makes the game frustrating. you complete very easy, small (4-6 objects), hos, earn items and cash, but how much isn't clear,complete collections and unlock new rooms. it reminded me of a big fish ipad app Mansions something. you can't progress until you earn the requirements for each new room but they don't tell you how to do this. you can kill monsters that are floating around the castle, but you have to figure that out yourself too. i found the hos way too easy and the lack of clear instructions too frustrating to recommend this game. the are work was nice though.